Tag Archives for " Reagan Cook "
It’s guest post day here at Duct Tape Marketing and today’s guest post is from Reagan Cook – Enjoy! Remember when Snapchat was simply known as that weird “sexting” app? Fast-forward two years later, and now everyone’s on it. Even companies have joined the party. 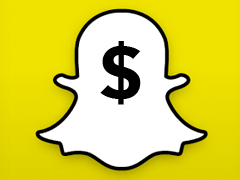 McDonalds, Taco Bell, General Electric, they’ve all invested heavily to turn Snapchat into an effective marketing channel. When it comes to new social media channels, today’s punch line may soon be impacting your bottom line. Before Snapchat, people made fun of Facebook and Twitter. Before that, SMS. As we’ve seen again and again, dismissing new communication platforms comes with an opportunity cost for brands, businesses, and consumers. How do I keep up with Social Media as it evolves? If you want to live long and prosper on social, the first thing you should know is: DO NOT BET THE HOUSE ON A SINGLE CHANNEL. Facebook, Twitter and Snapchat are just tools. If you’re serious about future-proofing your social media ecosystem, improve the organizational structure that surrounds it. 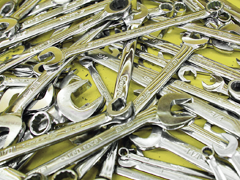 Instead of buying another wrench, invest in a better toolbox. According to Gartner, 50% of tech spending outside of IT comes from marketing, and this number is expected to rise to 80% by 2017. Unfortunately, much of this money is being wasted. Today’s brands are trapped in a competition to see who can build the biggest social presence.Thing is, when it comes to driving revenue and tracking ROI on social, it’s not the size of your presence that counts, its how you use it. According to a CMO Council report only 15% of marketers believe their companies are doing a very good job of integrating disparate customer data sources and repositories. It’s a lot like owning a dozen wrenches but never being able to find the right one when your sink is leaking. Brands are spending tons of cash to establish a huge suite of channels, but they can’t really operationalize the social media process because they lack the ability to move between channels and keep track of each customer’s overall brand journey. When a social platform implodes (or just isn’t cool anymore) all your customer data and marketing assets go down with the ship. Limit the fragmentation of your social media channels by adopting a marketing strategy that accounts for cross-channel mobility. A customer-centric omnichannel approach improves retention and maintains lifetime loyalty because it establishes a singular ‘record of engagement’ with each and every customer. Are you serious about being inducted into the social media marketing hall of fame? Well now’s a good time to start proving your awesomeness. We’re in a transitional period. Success in social marketing is no longer about being the earliest adopter or the biggest spender. It’s about being the most customer-centric. While your less organized competitors are waiting weeks for their social media data from each silo to be collected, analyzed and (hopefully) shared, your brand can initiate highly personalized conversations in real time, and have full confidence that the messaging fits with the customer’s overall journey. This doesn’t just mean following up a positive tweet with a Facebook message – it means connecting all your marketing channels. Social activity can trigger a highly relevant email message that will only be sent when a customer walks into your store. This combination of timeliness and authenticity will drive loyalty and deliver a more holistic brand experience to your customers. At the same time, it will decrease your dependency on any single marketing channel, and lay the groundwork for a healthy and wealthy marketing future. Reagan is the Head of Content Marketing at Bridg, an L.A. based start-up that helps retail brands make their marketing simpler and more efficient. Follow Reagan on Twitter at @Reagan_Charles and make sure to visit www.bridg.com/blog for more awesome data driven marketing hacks.